writing historical, particularly in the ancient time frame I’m using now, you sometimes have to choose between names a reader can pronounce in his/her head and names that were actually in use at the time. Readers: Please help! In the novel I’m working on I have to name some children. Always hard to strike a balance with names readers are familiar with and those that have somewhat of an ancient Irish feel. In this case I’m trying to keep them somewhat similar to the actual names in history. How do you feel about these: Egan, Keeva, Meredit, Shona. I’ve tried to use a spelling that helps the reader hear the correct sound. In order they are boy, girl, girl, girl. The feedback on that post was very helpful. If you offered your opinion, thank you! If you did not, but would like to, feel free to comment below. For Brigid of Ireland, I obviously already had the main character. The original publisher of that book included a pronunciation guide at the front. For instance, Aine is AWN-ya. (Some readers of Pages of Ireland have asked about that one.) My rule for that book was that the names that were fairly easy to pronounce were fictional, and many others that were not were historical. For Grace’s Pictures, I thought of Grace O’Malley, the sixteenth-century Irish pirate. I don’t know why. The characters aren’t really alike, but the name stayed with me, and it’s a beautiful name that taken literally reminds one that there by the grace we go. Owen is a name of Celtic origin, and I was influenced by a former youth pastor my son was mentored by. The Parker family was explained in the book: the children were named after trees, which Grace thought was funny…trees in the park? But their mother was an avid gardner. Reverend Clarke got his name because I once knew a Reverend Clark. The other names in the book came to me for no particular reason. For Annie’s Stories I named Annie for Annie Moore, the first immigrant to come through Ellis Island. The mark used by Annie’s father, explained in the novel. I held a contest for the naming rights for two characters in this book, but then most of the characters were already in Grace’s Pictures. So the two Eastern European sisters in the book were named that way. this book) changed it to Sofia, which I think is more of an Italian spelling. Sofia means wisdom, and I hoped that throughout the story my character would grow in wisdom, which only comes from God. That is why I was so happy to be able to use Sophia Sing to Me, written by Irish singer/songwriter Andy Rogers. You can hear it on the book trailer found here. I believe the other characters came out of my imagination, if I remember right. But, oh, the dog? Nothing earth-shattering, but I think it was a name I heard in high school and thought it was Italian but not overly common. I often consult baby name web sites when searching for a name. I love these because they often give the meaning of the name. If you look some of my character names up, you might understand why I gave a certain character a specific name. For instance, in Brigid of Ireland there is a druid named Bram. This is a derivative of Abraham, the father of many. While we don’t specifically know if Bram’s heart was changed in the story, he represented the old beliefs that were about to change for many of the Irish people. Another example. Back to Aine. Her name means “splendor, radiance, brilliance.” As you might remember from Brigid of Ireland, she had leprosy and was healed. That pretty much sums it up for me. I spend maybe too much time deciding on character names, but I do love the process. Let me know what you think! This entry was posted in Annie Moore, Annie's Stories, Brigid of Ireland, Grace's Pictures, inspiration, Sofia's Tune and tagged characters, writing on April 2, 2017 by cthomson. I like blogging. I know some writers dread it, but for me, it’s a way to communicate directly with readers. It takes a looooong time to publish a book. A blog lets me publish something sooner. 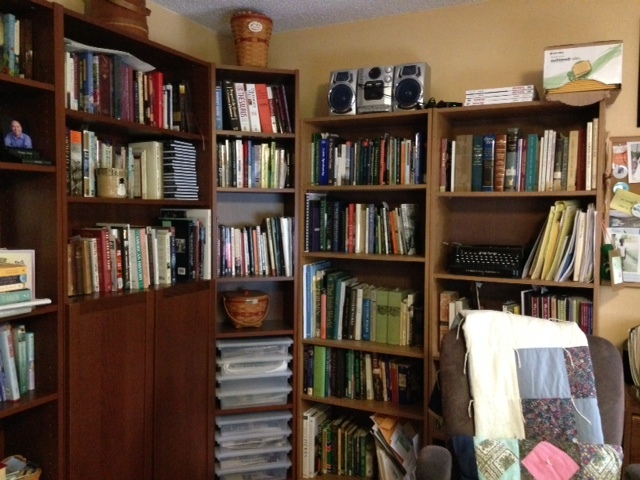 And I get to write about anything, although on this blog I mostly keep to writing projects, history, and genealogy. But, if I decided to write about baseball, I just might! However, I don’t end up posting as often as I’d like. Other things take priority, including getting Sofia’s Tune finished (I’m close!) and then when I get a head cold (haven’t had one in two years so I’m pouting!) things slow down. Never Fear, I AM Still Here! 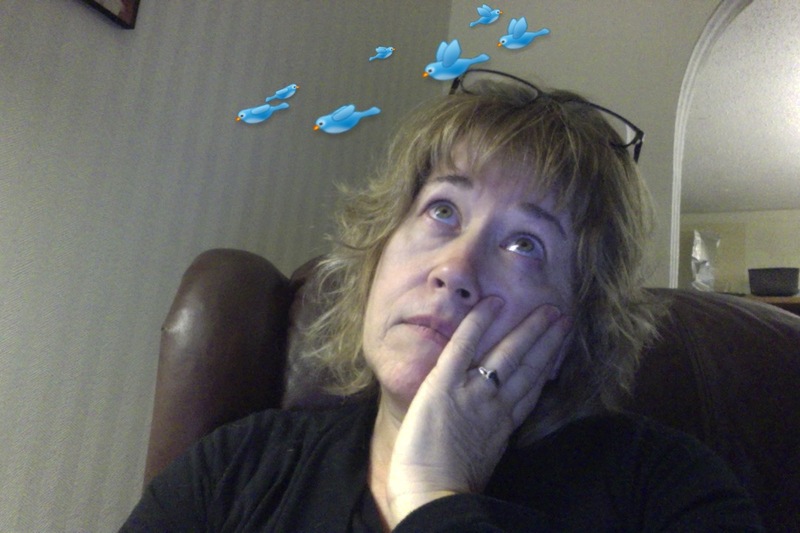 This entry was posted in blogging, Cindy Thomson, writing and tagged blogging, Cindy Thomson, writing on April 18, 2015 by cthomson. Always remember to forget the troubles that passed your way. But never forget to remember the blessings that come each day. And that’s why I chose to count my blessings in 2014. Not that I haven’t learned from mistakes. The true purpose of making mistakes is to learn from them and try not to repeat them. But dwelling on them isn’t helpful. Novelists really do have to protect their minds and spirits in order to focus on writing stories that not only entertain but also inspire. Now that I’ve written that, I realize that the bad things that happen in life also help to form inspiring stories so long as hope is still visible. Complaining about life only brings you down. Focusing on moving forward, on new opportunities, on the hopeful future is what motivates us to keep on going, don’t you agree? But if that’s all you do, you will miss out on the wonderful experience of counting your blessings. One of my characters (I’m sure it must have been Mrs. Hawkins or perhaps Grace’s mother) taught that no matter how miserable your life seems to you, there is always someone else who has it worse. That perspective is necessary if we’re going to avoid becoming bitter, complaining people no one wants to be around. So I’m taking time to reflect on the blessings that came to me in 2014. I am going to focus on my writing career for this list. I certainly have personal blessings beyond this. *I had a second novel published with Tyndale House Publishers! This was a huge blessing. Getting published by a traditional publisher is harder than ever (oops, slipped into a bit of complaining there!) but I was fortunate with this book. It could have very well not happened, but I worked hard, was blessed with fantastic editors and a tremendous cover, and Annie’s Stories was introduced to readers! *Annie’s Stories was well-received. Sure, there were critics who didn’t like it, but the vast majority of folks who reviewed it, liked it, and most of those liked it a lot. That’s why I wrote the book, for readers. So this was extremely rewarding. 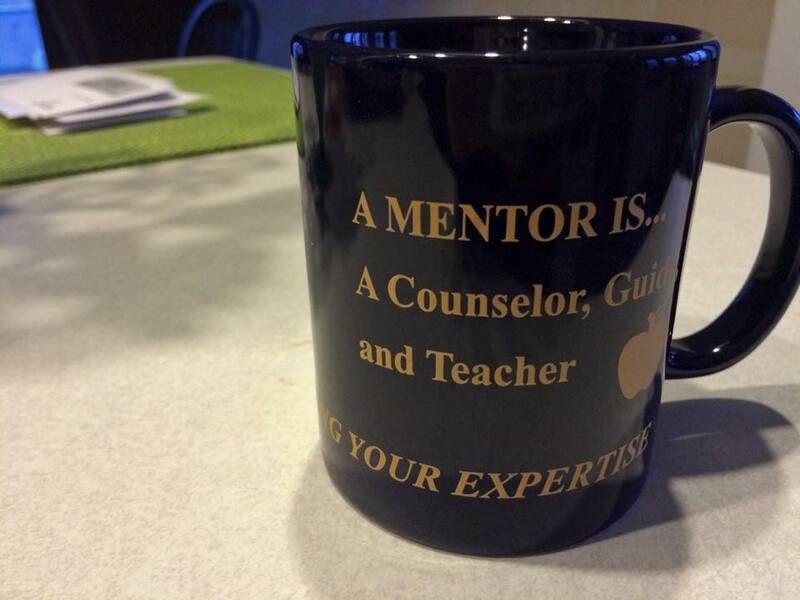 *I did a lot of mentoring in 2014, and I saw many of my students improve vastly. It was a privilege to witness their passion for telling stories. The future is bright with potential when it comes to novels! *I was able to meet lots of readers this year. I went to many events: book launches, book festivals, multi-author signings, and I saw firsthand how much readers love books. That certainly blessed me. * I had several media interviews surrounding the launch of Annie’s Stories. That’s a blessing because they are difficult to get for novels. *At one of those events (The Dublin Irish Festival–Ohio) I sold a record number of books for me! 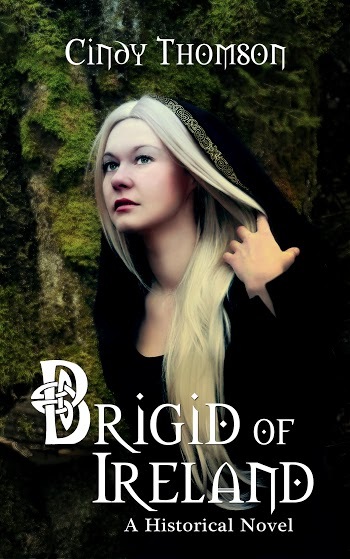 *I was able to re-introduce Brigid of Ireland by making it available on Kindle. There were many blessings involved in that project, including two designer friends who donated their skills: Deirdra Doan who contributed opinions and some of the interior design, and Kim Draper who designed the cover and title page. They really blessed me, and readers too! 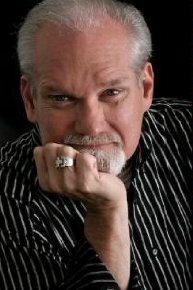 *I have learned so much about social media marketing that has helped me connect virtually with readers. My literary agency conducts a yearly marketing seminar, and I was able to go this year. I have also learned a lot from various webinars and newsletters. *I had another college intern from Denison University this year. Elena did various tasks for me and make some valuable contacts. Those were only a few of the blessings. And none about my personal life because I’m trying to stay focused on one topic. Focus, by the way, was My One Word for 2014. 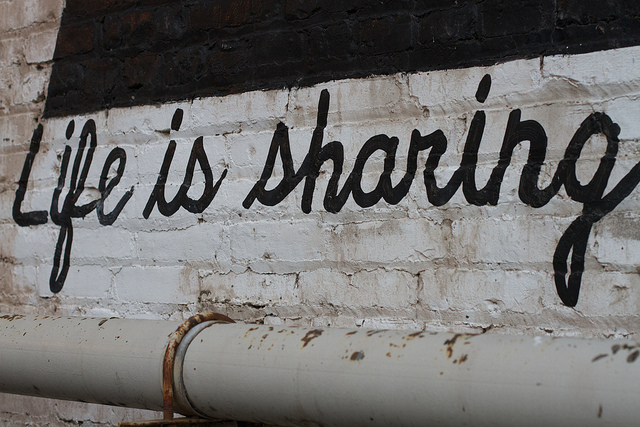 For 2015 it is Share. I’m not sure what I’ll be sharing, or what the whole scope of that word will reveal, but I’m ready to turn toward the New Year without complaining about the publishing industry. I have to make lemonade out of lemons, but that’s a challenge I can only meet if I keep that frame of mind–what I CAN do, not what I can’t. True, the industry has changed. Authors have been left behind in the dust for the most part. But blessings still abound and they will propel me forward in 2015. Ready, set, go! 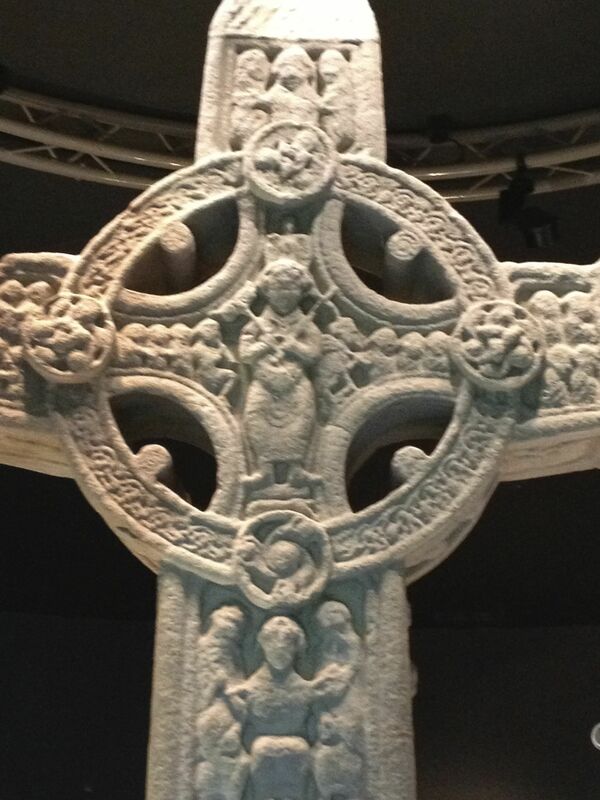 This entry was posted in Annie's Stories, Books, Brigid of Ireland, writing and tagged Cindy Thomson, mentoring, novels, writing on December 29, 2014 by cthomson. Just in case you didn’t know that, I’ll tell you a story to illustrate what I mean. No matter how difficult the path is (and it is difficult, make no mistake), no matter how unsure the possibility of financial gain, a true writer must write. If someone can choose another career, he or she must do so. Because if you feel like you have a choice, you may not make it as a writer. It takes dedication. It takes perseverance. It requires hours and hours of working alone. It requires being able to hold up under a cloud of rejection. Sure, lots of writers work in other occupations, but if you want to write you simply must have the drive to do it. You can’t NOT do it. A writing career is not for the “take it or leave it” personality type. If you do not possess this drive, then do something else because nothing you write will impact readers. And that’s what all readers want–to be heard. Bethany could not think of another career she’d like to explore. Writing was it for her. So her counselor had no choice but to seek out a published author for her to mentor under. At the end of the mentorship the programs holds a luncheon to honor the mentors and to show off the students’ final projects. The other mentors present were professionals such as veterinarians, nurses, politicians. They seated me at a table between a forensic scientist and an aerospace engineer. Seriously. The brain power at the table was overwhelming. How could a novelist not find that amusing, and a bit intriguing at the same time. Just as much as scientists and engineers. Sure, there are tons of books out there. Plenty of people fancy themselves writers but then never put in the work required to produce high quality books. We don’t need more of those kinds of people. But we do need more books that are so well done that they inspire us to become better people. Bethany strives for excellence. I’m sure she’ll find it. 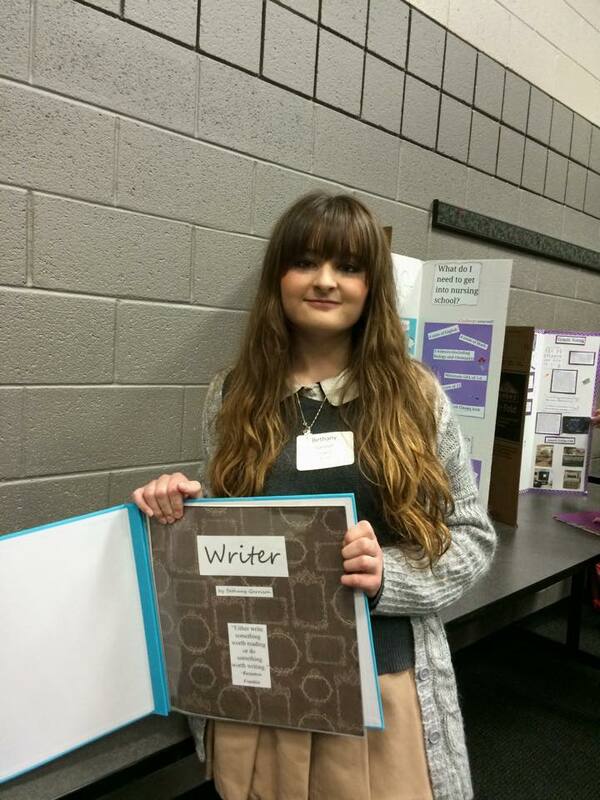 It might be a long time before another high school student requests a writer as a mentor. We are different and not many can understand us. (We really do hear voices in our heads!) But I sincerely hope they invite me to mentor again. It was refreshing to see the author gene alive and growing. Best wishes to all the young writers out there. Take up your pens and follow your heart! This entry was posted in authors, writing and tagged mentoring, students, writing on December 4, 2014 by cthomson.